Festival fans: pack your bags! In our first international edition, we’re heading across the Atlantic to Somerset, England. Get ready for an epic weekend filled with muddy street style and amazing live performances…it’s Glastonbury Music Festival! For those of you who aren’t familiar with Glastonbury, the festival is essentially England’s version of Coachella with a lot more history, a massive camping culture, and a lot of mud! Every year in June, festival goers descend on Worthy Farm, turning the English countryside into a makeshift festival fairground. Alongside thousands of fans, the festival attracts models, actresses, musicians, televisions personalities, and the who’s who of British celebs. With this year’s headliners including Adele, Coldplay, LCD Soundsystem, and Beck, we can’t wait to see which stars will make the trek and, more importantly, what they’ll be wearing. At Zenni, we’re so inspired by the street style from the festival grounds, we’ve refreshed and updated some of our favorite sunglasses for the summer festival season ahead. Glastonbury fashion mixes the very best of English countryside chic with the latest in current festival trends and some good ol’ fashion rock style. With a history of inclement weather conditions, the most important aspect of any Glastonbury outfit is a good pair of wellies. Fashion insider tip: Hunter rain boots and a great pair of Zenni shades go with everything from a sequined minidress (á la Alexa Chung) to ponchos and high-waisted denim shorts. Poppy Delevingne, Alexa Chung, and Stella McCartney wear Hunter rain boots and matching black sunglasses during last year’s Glastonbury festival. A favorite of the fashion set, cat-eye sunglasses are an easy way to add a touch of glamour to your Glastonbury outfit. For summer festival season, the traditional upswept cat-eye silhouette is updated with a curved edge. 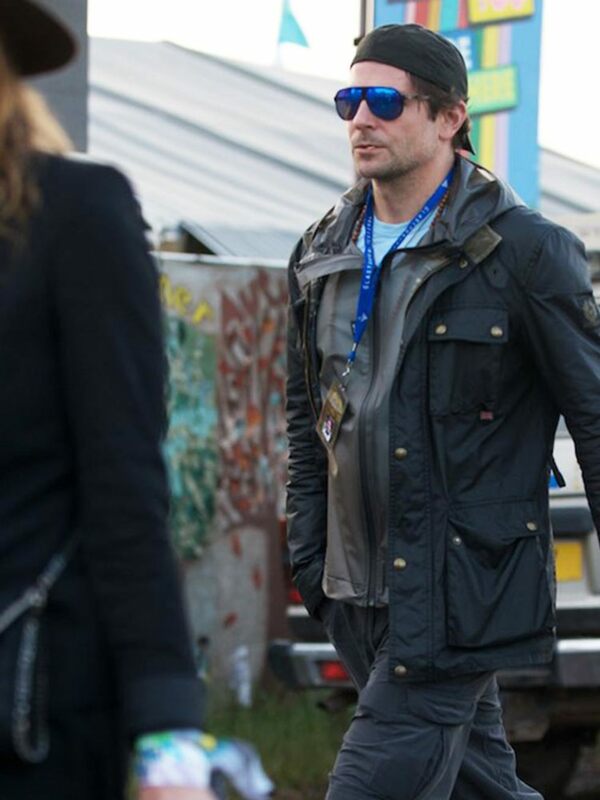 Glastonbury fashion trailblazers Kate Moss, Sienna Miller, and Daisy Lowe are fans of this super stylish look. TRY: A modified cat-eye frame paired with a gray gradient lens will keep you looking glamorous at Glastonbury. Mirrored lenses are the ultimate summer accessory. Whether you’re lounging poolside or watching your favorite singers perform, reflective sunglasses offer a head-turning pop of color. British It Girls Suki Waterhouse, Cara Delevingne, and Cressida Bonas know how to make a color statement. They opt for reflective, mirrored sunnies in various shades of bright blue. TRY: Make a bold statement in these classic frames that feature a reflective, blue mirrored lens and ultra-chic, metallic temple detailing. Vintage-inspired, round sunglasses continue to be one of the hottest trends in fashion. At Zenni, we love to come up with fresh new colors and tints to keep you looking stylish. Add some flair to your festival wardrobe by selecting an amber or gold mirrored lens — two of our favorite hues for the season ahead. 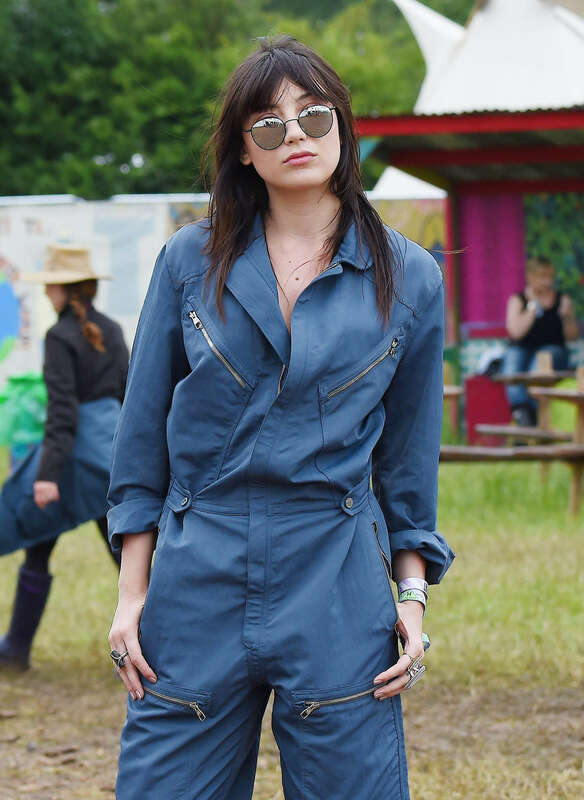 Rita Ora, Daisy Lowe, and actress Jenna Coleman take Glastonbury style to another level in their super-chic, round shades. TRY: A retro-inspired, rounded silhouette featuring a keyhole bridge and amber mirrored lens defines festival cool. Dakota Johnson, Cressida Bonas, and HBO’s Game of Thrones actress Clara Paget also incorporate the round look into their Glastonbury outfits. OR: Rain or shine, add a sunny hue to your wardrobe by selecting a gold mirrored lens option. Tortoiseshell sunglasses are timeless, elegant, and complementary to the neutral tones favored by the Glastonbury fashion crowd. It’s easy to see why they’re a huge hit with musicians and festival-goers alike. For summer, we’ve updated our signature tortoiseshell frames by incorporating the mirrored lens trend. We adore this classic style on singers Adele, Lily Allen, and Florence Welch. 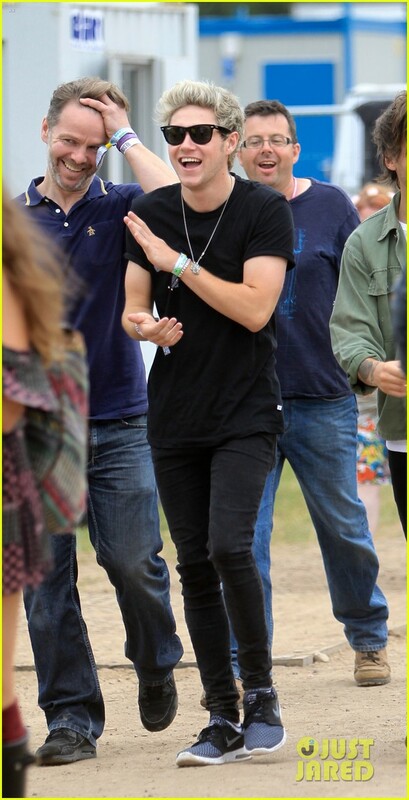 Don’t they look amazing rocking their tortoiseshell sunglasses on the Glastonbury festival grounds? TRY: Modern details like a blue mirrored lens, gold temple arms, and a stylish keyhole bridge make these sunglasses a Glastonbury festival must-have. 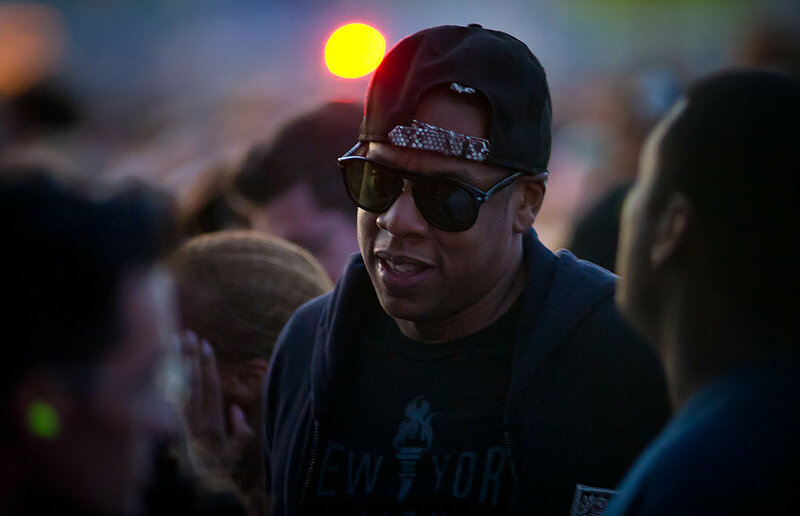 Men’s fashion at Glastonbury tends to favor a muted color palette such as olive, navy blue, brown, gray, and black. Wardrobe items are kept simple and clothing is often layered due to the weather conditions. Barbour raincoats, tees, dark denim jeans, leather jackets, military-inspired garb, and of course rain boots are all wardrobe staples. 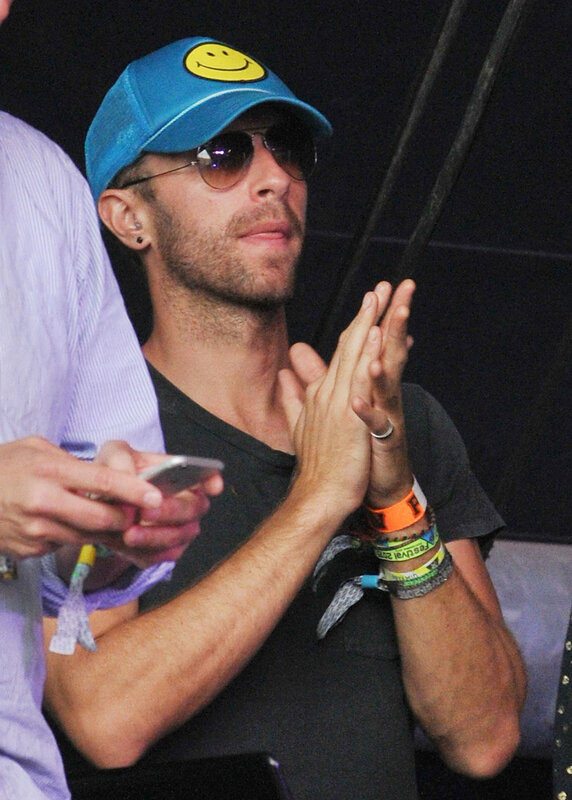 Musicians Chris Martin, Jay Z, and James Bay showcase a variety of eyewear styles while attending Glastonbury festival. From metal wire-rimmed frames to the sporty acetate variety, aviators are always a popular choice with the festival crowds. For that extra eye-catching appeal, take notes from Bradley Cooper and add a sporty reflective, mirrored lens. 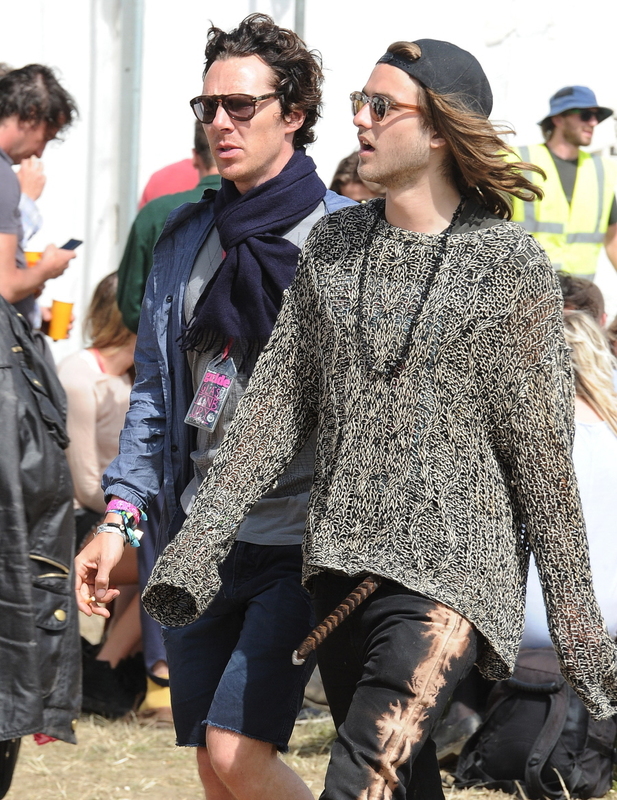 Actors Richard Madden, Bradley Cooper, and Benedict Cumberbatch display their Glastonbury street style. TRY: Stand out from the crowd in our premium, ultra-luxurious aviator frames paired with a reflective, green lens. You can’t go wrong with a pair of classic, square frames at Glastonbury. For an edgy update on this celebrity favorite, choose a mirrored lens option in a bold finish like a bright blue or green. Alexander Skarsgard, Niall Horan, and Sam Smith embrace the clean lines and geometric look of square sunglasses. TRY: Our signature square frames updated with a reflective, mirrored lens will keep you looking cool all summer long. Are you planning on attending any music festivals this summer? Let us know in the comments below! And stay tuned for more festival fashion coverage this fall! Also, go check out our top festival sunglasses picks!